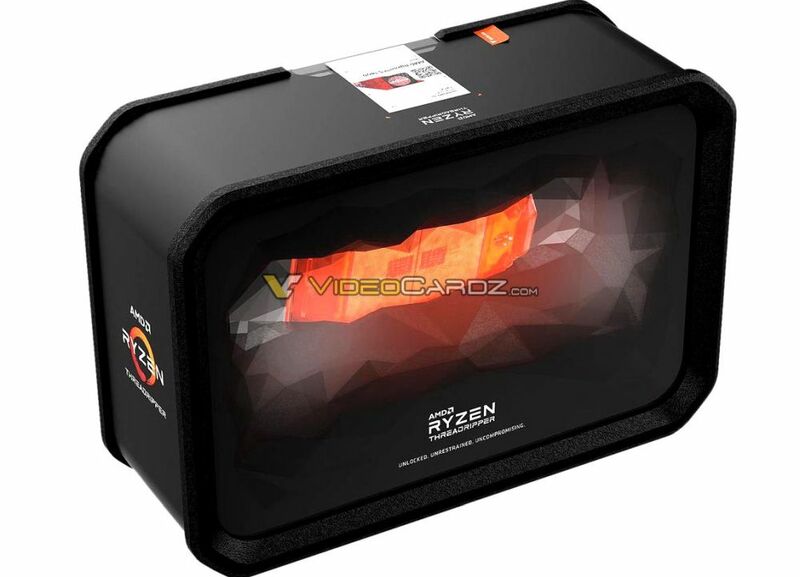 VideoCardz have mentioned that the Ryzen Threadripper processors that will be making their debut very soon are the Threadripper 2920X, Threadripper 2950X, Threadripper 2970WX, and Threadripper 2990WX. Processors that come with the “WX” nomenclature are aimed more towards professionals, while the “X” branded CPUs are made for enthusiasts and gamers. The most powerful Ryzen Threadripper processor of the four would be the Threadripper 2990WX. It features an eye-watering 32 CPU cores and 64 threads, base and boost clock speeds of 3.0GHz and 4.2GHz respectively, as well as a TDP rating of 250W. Besides that, the other WX processor, the Threadripper 2970WX, has 24 cores and 48 threads, along with similar clock speeds and TDP rating as the Threadripper 2900WX. AMD’s consumer-oriented Ryzen Threadripper processor, the Threadripper 2950X, has 16 CPU cores, 48 threads, base and boost clock speeds of 2.5GHz and 4.4GHz respectively, along with a TDP rating of 180W. Finally, the lowest-end 2000 series Ryzen Threadripper CPU, Threadripper 2920X, has 12 cores and 24 threads, along with base and boost clock speeds of 3.5GHz and 4.3GHz respectively. The TDP rating of this processor is rated at 180W. 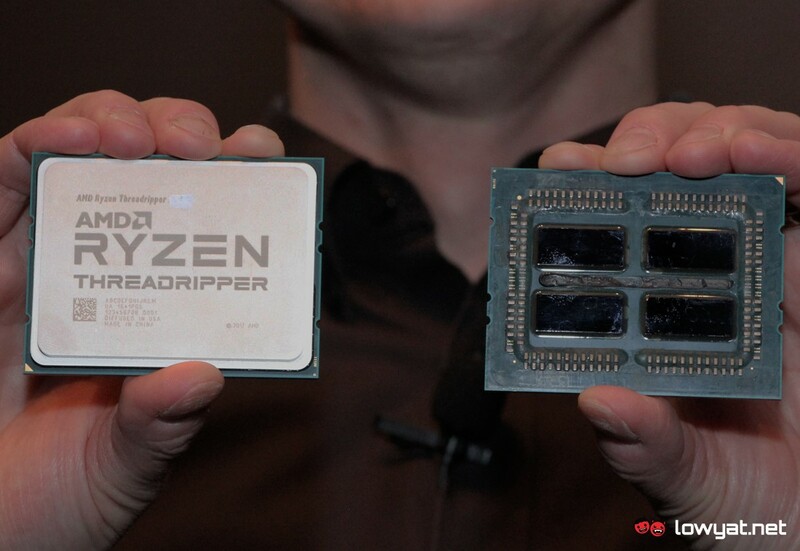 Pricing-wise, both the high-end Threadripper 2990WX and Threadripper 2970WX are expected to be ‘smacked’ with a launch pricing of US$1,799 (about RM7,335) and US$1,299 (around RM5,296) respectively. 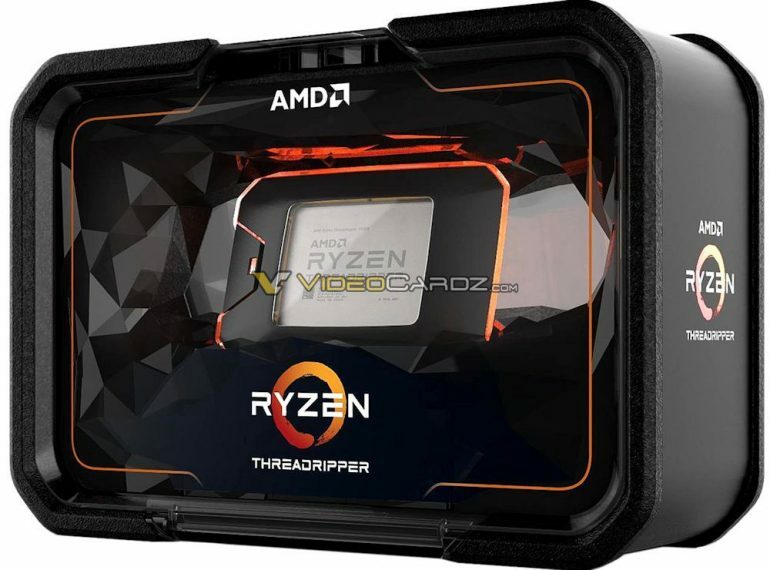 The enthusiast-grade CPUs, Threadripper 295X and Threadripper 1950X is rumoured to have launch prices of US$899 (approximately RM3,665) and US$649 (about RM2,646). Those aside, since these details are yet to be officially announced by AMD, we do advice our dear readers to take them with a grain of salt, for now.